It pays to be informed and ready before making any big decisions in the property market. 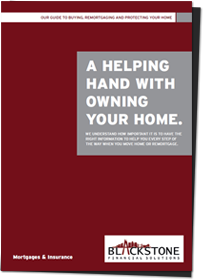 Our informative guide is available for you to download, free of charge, and will be of interest to homebuyers and homeowners looking to remortgage. Our guide will help you to understand more about mortgages, property and what's involved. To discuss your mortgage or protection needs further, please contact us. How is interest charged and paid? Blackstone Financial Solutions - for expert advice on buying, re-mortgaging and protecting your home.